Making a pie from scratch is a lot of fun, but sometimes you want to make something homemade and delicious without all the work. 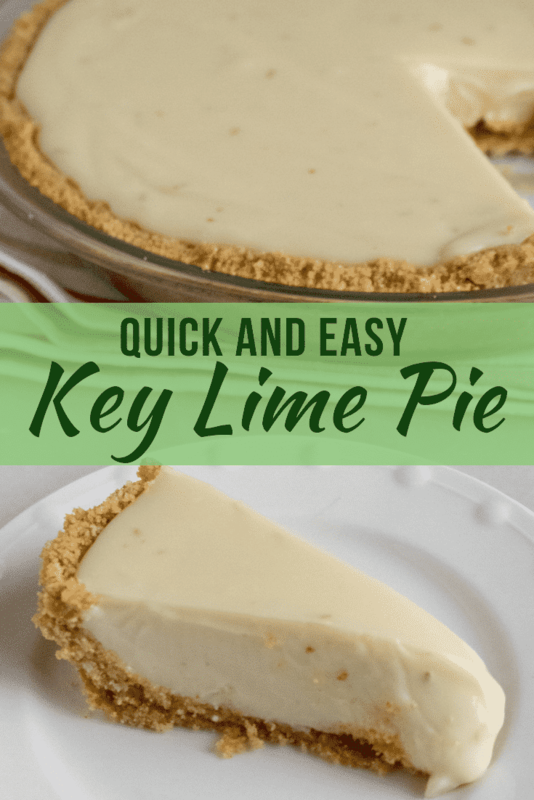 If you’re looking for a quick and easy Key Lime Pie recipe, this is the one! What is Key Lime Pie? Key lime pie is a dessert consisting of Key lime juice, egg yolks, and sweetened condensed milk served in a graham cracker pie crust. It originated in the Key West, Florida area. 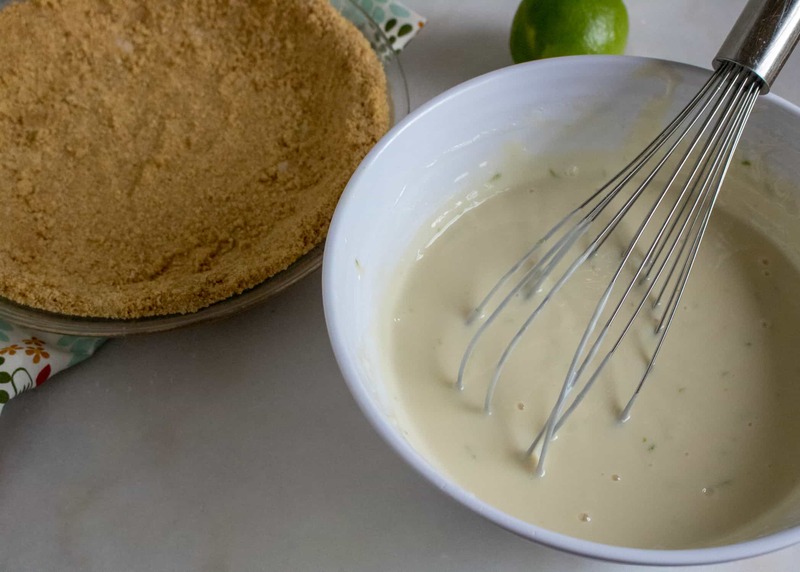 Rather than making a custard filling with eggs, this easy Key Lime Pie recipe uses sweetened condensed milk coupled with sour cream as the base. And by leaving out the egg in the pie base you can also serve this key lime pie to those with an egg allergy. 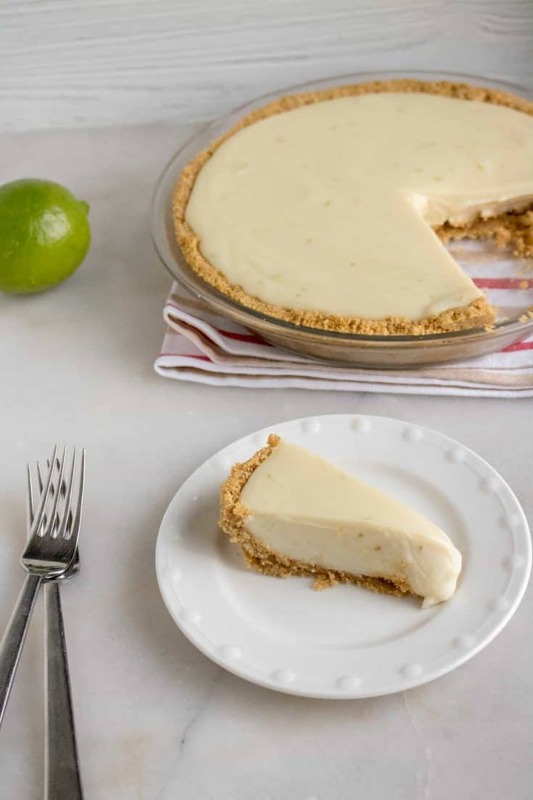 Thee addition of both fresh lime juice and lime zest gives this easy Key Lime Pie a traditional taste in less than 30 minutes. Is There a Difference Between a Lime and a Key Lime? Key limes, also known as Mexican or West Indian limes, are generally smaller in size, more aromatic, tarter and more floral than regular limes. Outside the U.S. the key lime is much more common. 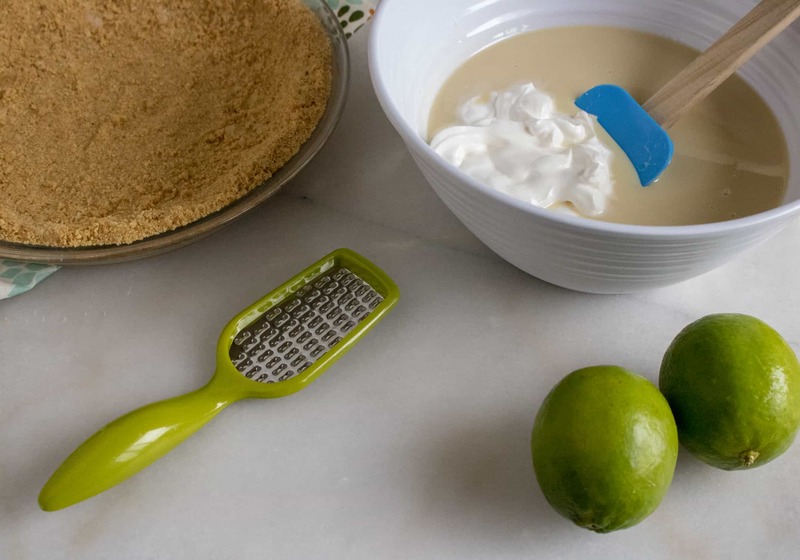 Although harder to find, key limes are worth hunting down and using in your next key lime pie. You may need more of these little yellower limes than regular limes, but the taste is worth the extra work. 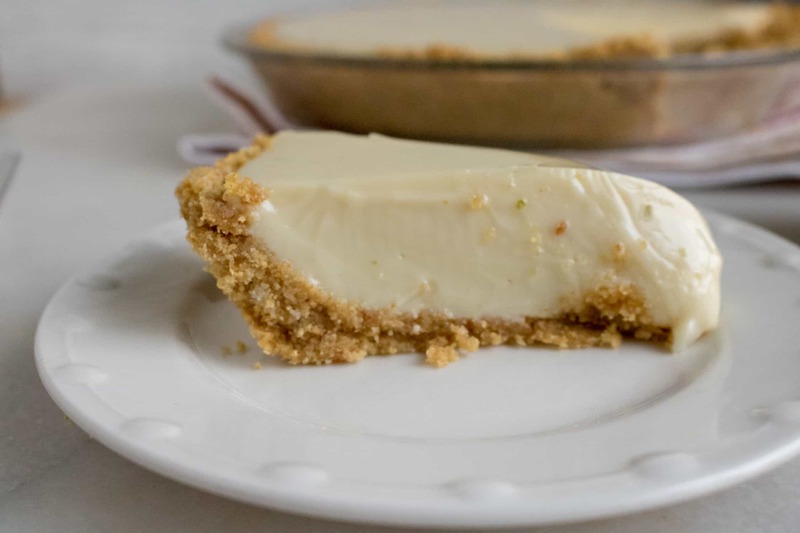 Their fresh tart flavor and powerful zest add excellent flavor and texture to this easy Key Lime Pie. Of course if you can’t find key limes in your area, feel free to use regular limes. This pie will still taste deliciously tart and sweet. Love the idea of quick and easy homemade pie? Then check out these other great pie recipes that are so simple to make, but still full of flavor! In a medium bowl, combine condensed milk and sour cream. 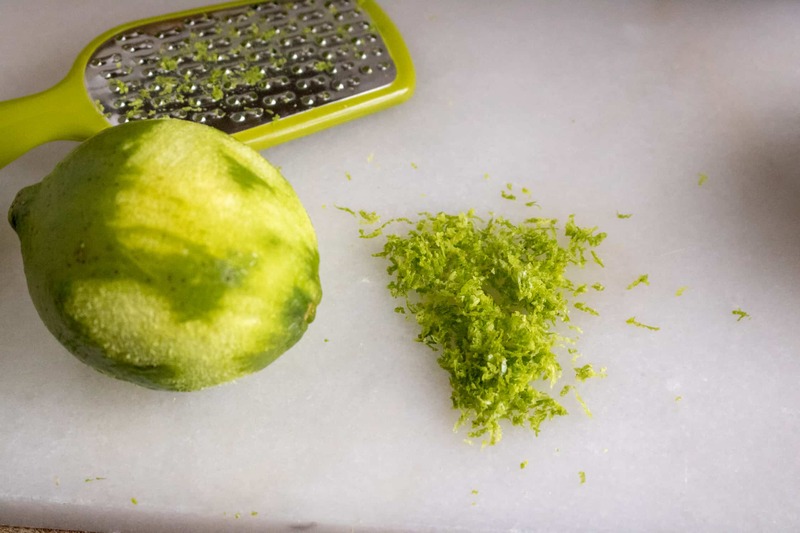 Use a microplane grater to zest your lime. Add the lime juice and zest to the bowl. Next, whisk all ingredients together until smooth. Pour filling into graham cracker crust. Bake in pre-heated oven for 5 to 8 minutes, until tiny pinhole bubbles burst on the surface of pie. DO NOT BROWN! Chill pie thoroughly before serving. Garnish with lime slices and whipped cream, if desired. Enjoy! 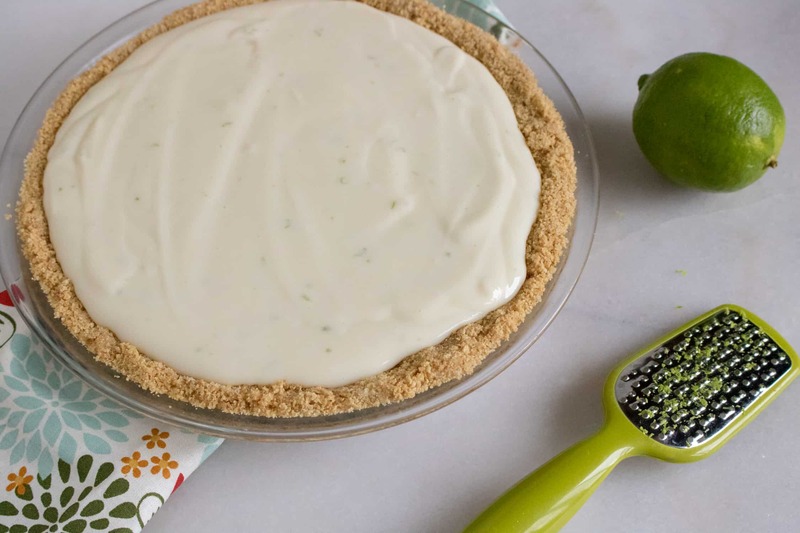 Learn how to make delicious Key Lime Pie in less than 30 minutes. 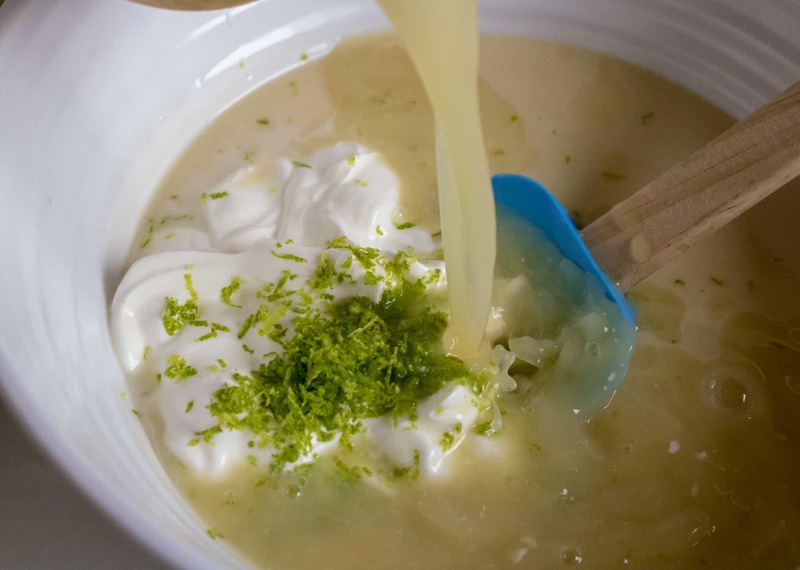 In a medium bowl, combine condensed milk, sour cream, lime juice, and lime zest. Mix well and pour into graham cracker crust. Chill pie thoroughly before serving. Garnish with lime slices and whipped cream, if desired.